Scientific Solutions Global LLC exhibited Bare Urea Gel for the first time at Midwest Podiatry Conference (MPC) which is the largest podiatry conference in the country and attracts over 2000 podiatric professionals every year. This year the conference was held between April 19 to April 22 2018, at Hyatt Regency, Chicago. It was organized by Illinois Podiatric Medical Association (IPMA). During the event Scientific Solutions promoted the benefits of Bare Urea Gel for patients suffering from severe skin conditions such as severe corns, callouses, dermatitis, psoriasis, and keratosis. The Midwest Podiatry Conference is a confederation of fourteen state podiatric medical associations. The state associations of Illinois, Indiana, Iowa, Michigan, Minnesota, Missouri and Wisconsin make up the Executive Council and are the founding members. Regular members are the state associations of Arkansas, Kansas, Nebraska, North Dakota, Oklahoma, South Dakota and the Canadian province of Ontario. The new products, technologies and treatments presented at the conference help podiatrist to improve the patient’s care and experience. 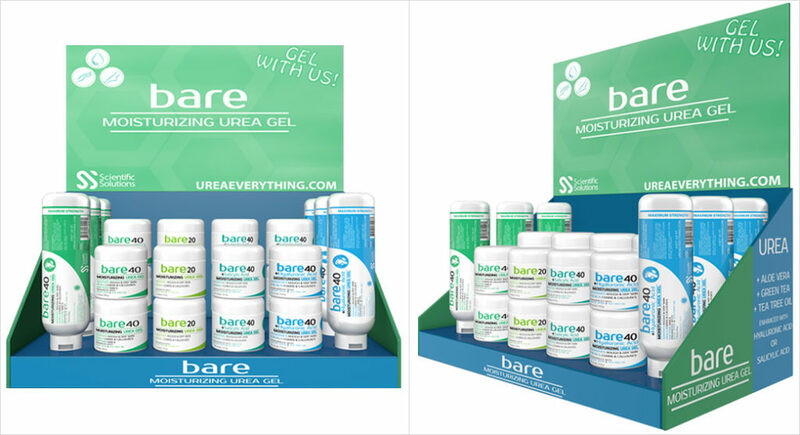 “We are excited to be exhibiting Bare Urea Gel at Midwest Podiatry Conference. It is an honor to introduce a game-changing product to the podiatric market which will materially improve patient outcomes and quality of life for those suffering from severe skin conditions.” stated Zeb Pirzada, the Chief Executive Officer of Scientific Solutions Global, LLC. Based on 7 years of experience bringing solutions to patients in pharmaceutical compounding, Scientific Solutions was established in 2016 to provide these same effective remedies to the OTC market. BARE is a professionally recommended formula proven to give superior results. Bare Urea Gel is specially formulated to remove thick callouses, helps repair cracked heels and skin with the most potent therapeutic ingredients including green tea, tea tree oil and aloe vera extracts. Protect and Hydrate your Skin– Bare Urea gel provides a grease-less, non-staining, non-irritating soothing and moisturizing feel for your hands and feet. Professionally Recommended– Bare is specially formulated to remove thick callouses, helps repair cracked heels and skin with the most potent therapeutic ingredients including Tea Tree Oil and Aloe Vera extracts. Synergistic Ingredients– Bare incorporates ingredients such as Salicylic Acid and Hyaluronic Acid to provide you with an even deeper moisturizing feel. Podiatry specialists recommend Bare Urea Gel to harness the therapeutic benefits of Urea in the field of podiatric medicine. Bare comes in variety of choices mixed with of Urea 40 %, such as Salicylic acid, Hyaluronic acid, tea tree oil, aloe vera, and green tea. If you are a Podiatrist please visit our authorized distributors.